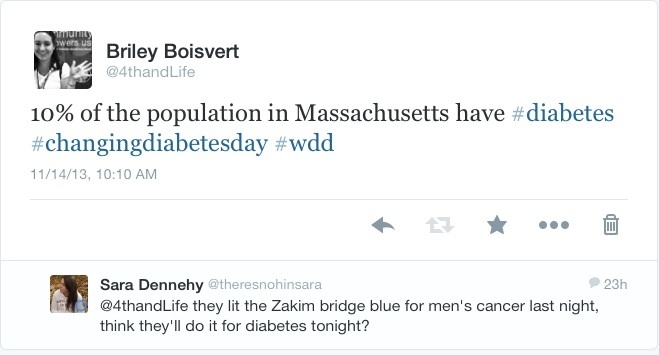 I have known about WDD for a few years, but I’ve never been able to participate in anything offline. 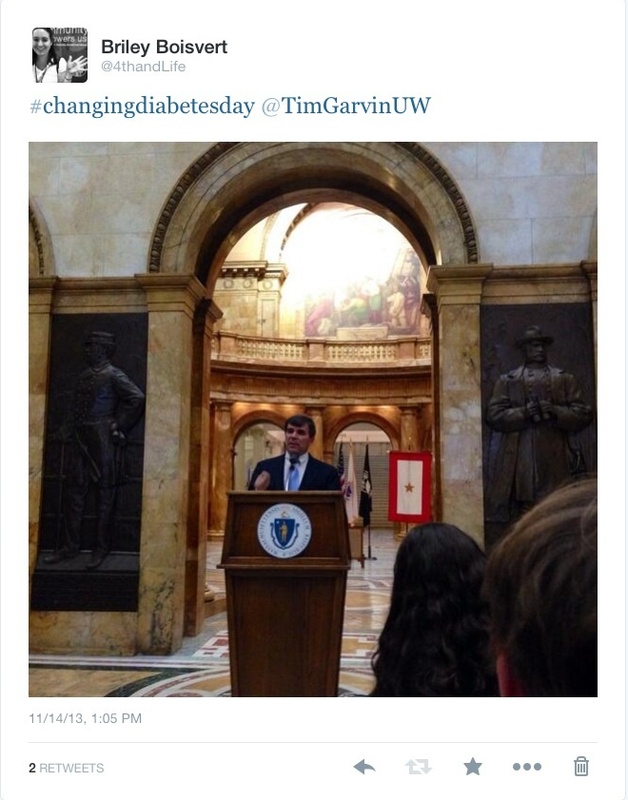 When I found out about Changing Diabetes Day at the Massachusetts State House, I knew I needed to be there. My low in the morning made me think I would miss it, but I didn’t. I found familiar faces, put my phone away, grabbed my Dexcom so that I could stop it from alerting if needed. I knew that bring online to offline was about to happen and I couldn’t have been more excited. I am still riding on yesterday’s high, and words are escaping me. However, I’m going to share my tweets with you. I know I didn’t quote most of the people, but I didn’t know the names at the start. I just knew that these people cared and that they want to make a difference and they want to help us make a difference too. 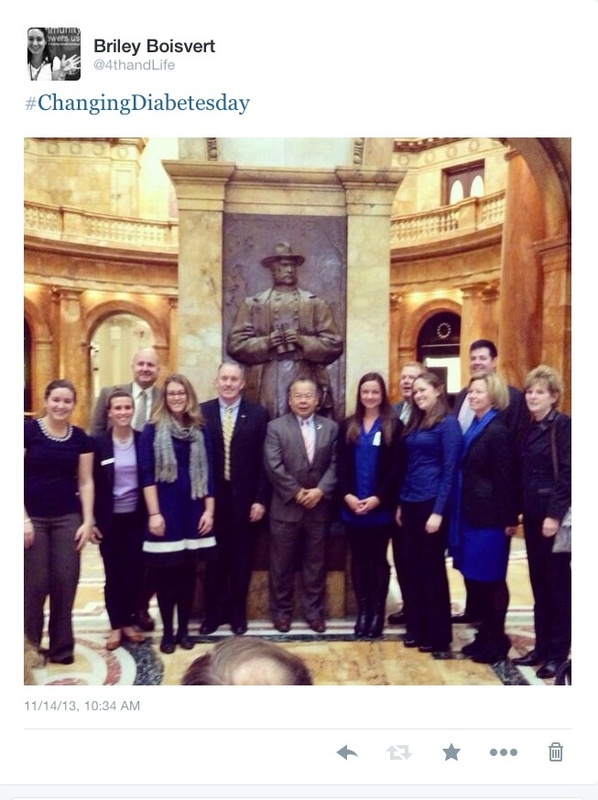 When I was given the opportunity to represent the Bay State YLC in a picture with the legislators and representatives from other organizations, I loved it. 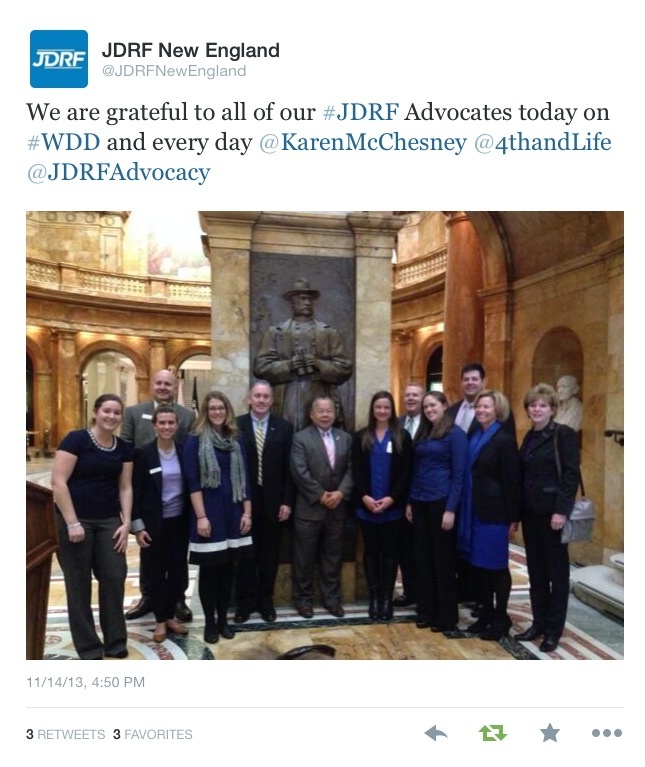 JDRF New England has a photo, and it’s awesome. I love that someone I know got to share her story. This was one of my favorite moments! 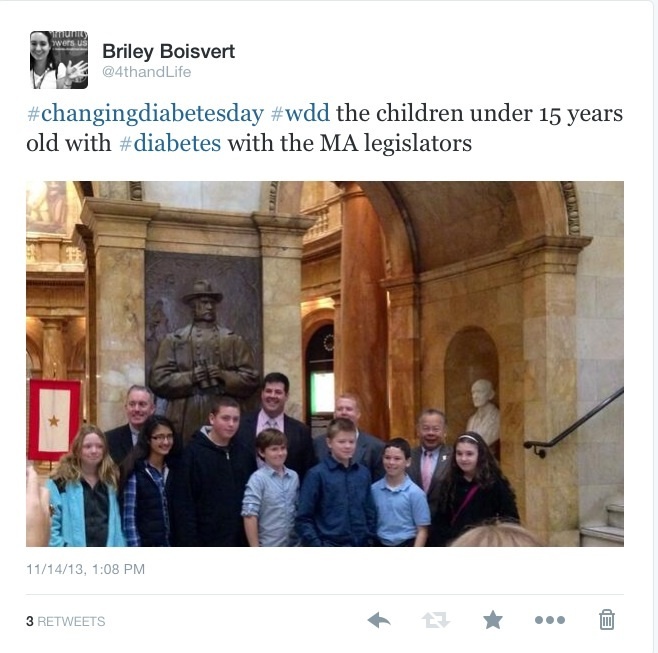 Talking about the children in the room with diabetes. 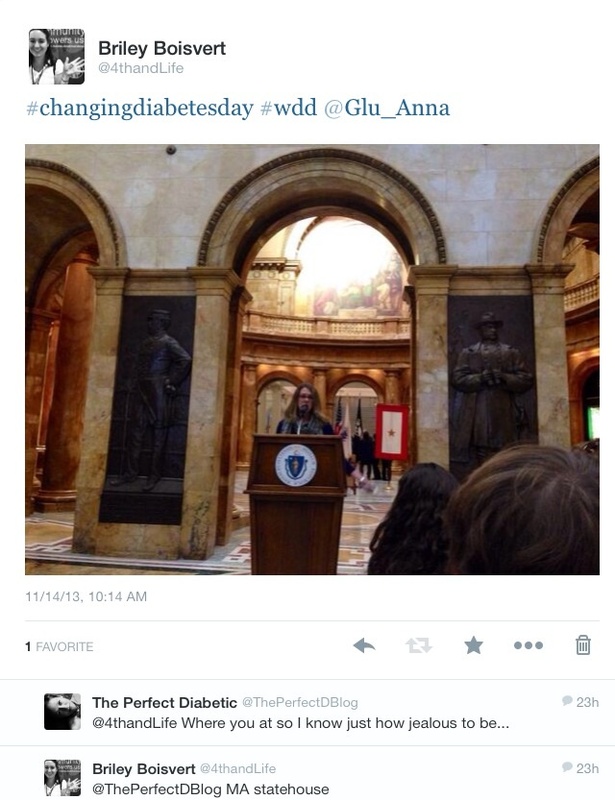 Talking about an experience with a serious low, glucagon & an ambulance. Definitely the worst part of the day. This event made me feel as though we were in the middle of changing the world. 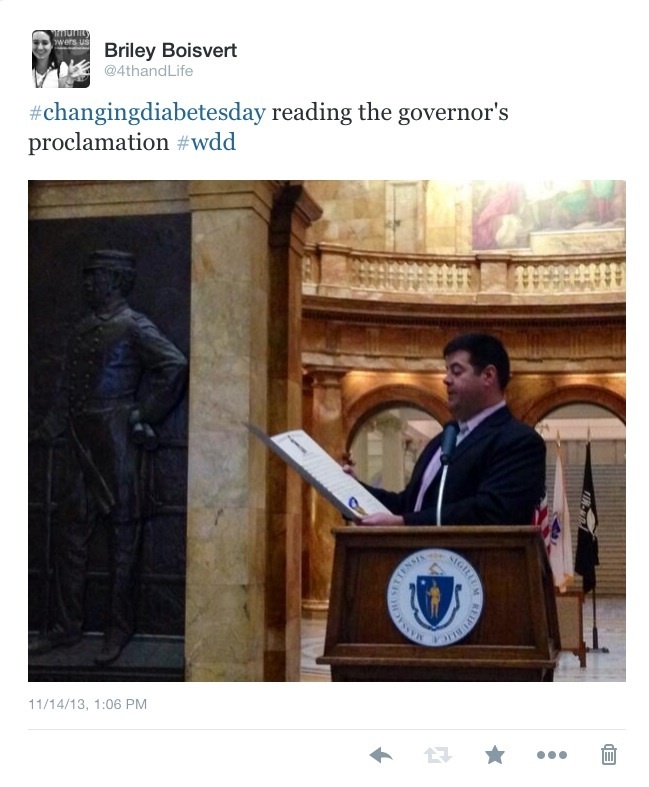 This is definitely an event I want to continue participating in, and hopefully it grows more every year. #occupy the State House! Oh wait… it’s not that kind of gathering. This sounds amazing and empowering. I’m glad you were able to be there. Those are some great tweets! I missed them all because Brian was visiting and I think we were hiking a mountain that day.